As an EMT or paramedic medical professional, there is most likely an overseas equivalent to each career here in the U.S. An overseas position has multiple benefits including large payrolls, new and exciting experiences and professional experience unlike any comparable in the U.S. However there are some drawbacks that must be considered with each overseas contract position including the potential dangers and risk of burn-out. Statistics predict that this field is expected to increase 9% over the next decade, making the possibility of achieving overseas paramedic jobs are quite high, if you take the correct steps to become employed. Before beginning the hunt for a unique overseas paramedic employment it is important to be fully prepared to ace an interview or in some cases even qualify for one. The number one item that overseas paramedic companies look for on a resume is experience. In many countries, or in the case of war or post-war services, paramedics must be able to jump into a position with no more instruction than where to go your first day. Therefore many employers overseas are looking for those who have some experience as a working professional. Unique positions within a company will also make a resume stand out even more. Another item taken into consideration on applications is the applicants training and education. While students are still enrolled in paramedic programs take any opportunity to expand your recordable training and branch out into as many disciplines as possible. 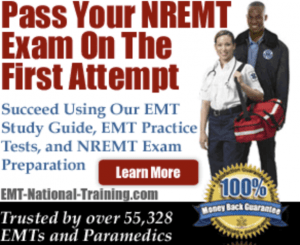 The NREMT exam, an essential part of paramedic certification can be a trying time for any student wishing to pass and become a working paramedic. In many countries, the NREMT-P certification is highly regarded and often will grant a new overseas paramedic automatic medical registration. Those wishing to be employed through federal or military contracts need to keep in shape. When being considered for federal/military contracts, civilian paramedics must be deemed “fit for duty” which will require a physical and possibly a physical fitness course with testing. There are several ways to obtain overseas employment. One of the easiest ways is through an overseas staffing company such as Onsiteohs.com, which handles both civilian paramedic contracts and US military overseas contracts as well. The website provides constant overseas employment updates through social media sites Twitter, Linkedin, and Facebook as well as by subscribing to their own website. Paramedics wishing to be employed overseas both on temporary contracts and in some cases a permanent transfer can review individual job postings as they arrive and submit a resume. In addition, paramedics can use employment websites such as Simplyhired.com, Careerbuilder.com and Hireveterans.com. Paramedics can use online job sites to search for overseas paramedic positions both short-term civilian contracts and multi-year government positions. Military contracts can also be found on Triplecanopy.com where military and government paramedic positions are post regularly. Global Medical Recruiting also offers a large list of positions aviable, updated regularly, that paramedics can use for overseas employment searches. Those paramedics wishing to obtain overseas employment individually may also choose to use social media sites as an excellent way of networking and job searches. Linkedin is geared towards professionals and businesses so it is the number one place to job search for overseas medical employment. Many jobs are also posted on Twitter, Facebook and even YouTube. Paramedic Work Overseas: What Are the Benefits? The rate of pay and benefits will be determined on a specific job basis and change with each contract. If the paramedic chooses to use an overseas staffing company verses finding employment on their own, they may find that there are more benefits to be had. Through OnsiteOHS paramedics find they will receive R&R time, which is paid time off in between contracts. Depending on the individual’s specific situation some paramedics also find their overseas pay is U.S tax exempt and can even receive such government perks as overseas earned income credit, overseas housing deductions and exclusions. While overseas, most positions come through a local hospital which provides multiple benefits to paramedics. 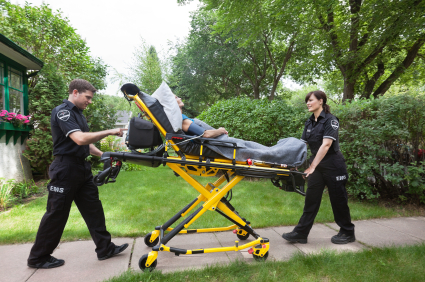 In some countries western paramedics receive housing, and a stipend for living expenses. Vacation time is also allotted overseas which westerners can use to visit tourist areas of the country they may not necessarily thought possible without overseas employment. The pay for an overseas paramedic will vary depending on the situation. Those deployed by the U.S military into war zones or areas of conflict usually find higher salaries. The golden rule with overseas paramedic employment is that the more dangerous and demanding the position, the higher the pay. For example, such areas as Dubai have contracts available for experienced paramedics that pay $110,000 per year. The idea of traveling the work as an overseas paramedic is an appealing employment opportunity to paramedics looking to broaden their horizons, gain experience and increase to a significant pay. It is essential that paramedics read through each employment opportunity carefully and assure they are fully prepared for the hiring process as well as what the position will entail. Large paychecks, added benefits and experience can be enticing but keep in mind the location and level of demand involved. Countries with under-developed medical systems can often be a less dangerous position but with lower pays. During times of conflict, the military provides large payouts to paramedics for assistance but the danger levels are considerably high. So it is equally as important to consider the employment environment as the qualifications needed for application. Please do not forget to bookmark our paramedic training homepage, so that you can find more information that best suits your needs. How Much Do EMTs Make in Montana?